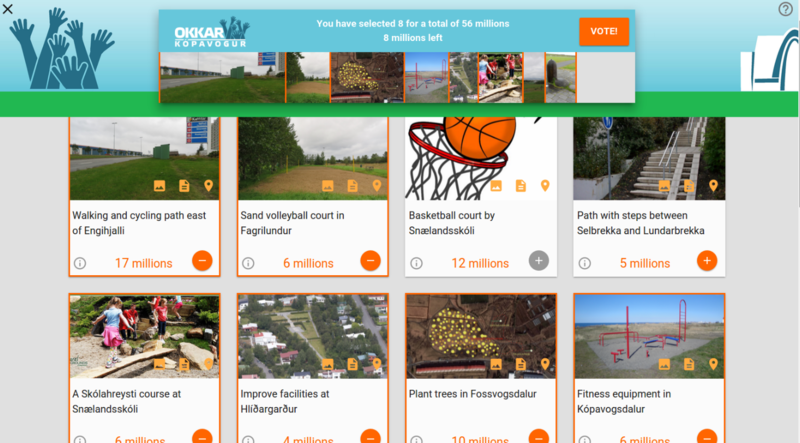 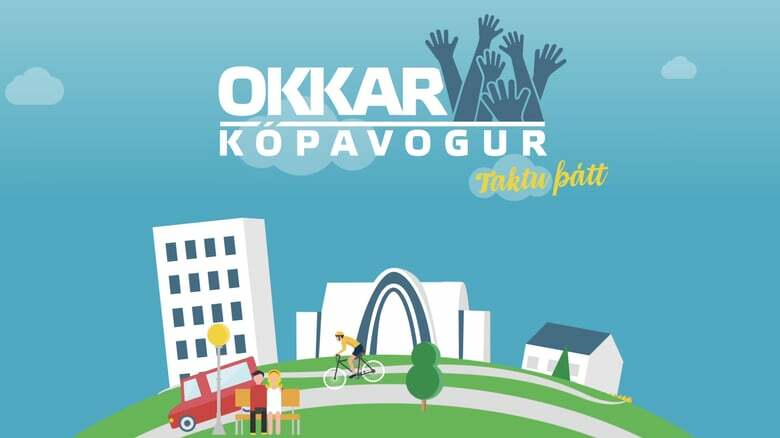 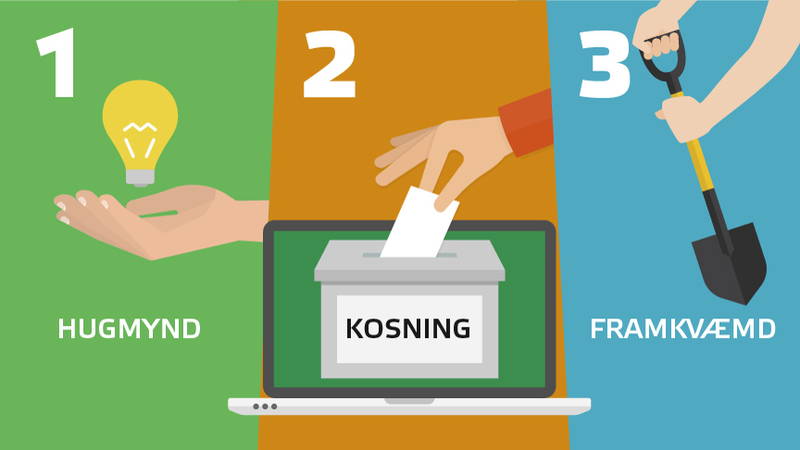 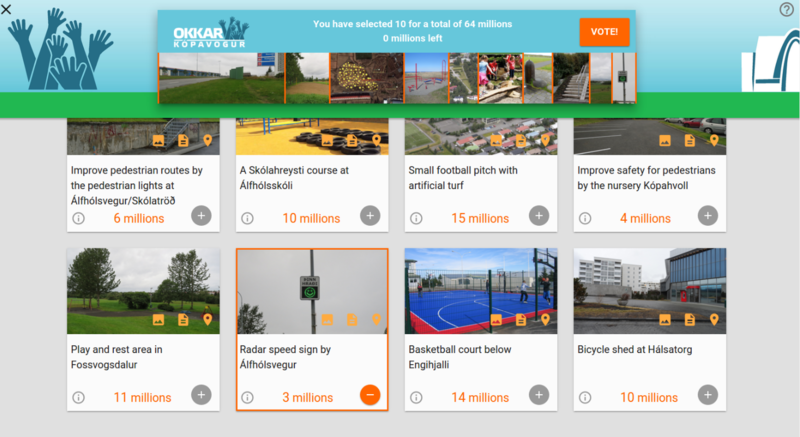 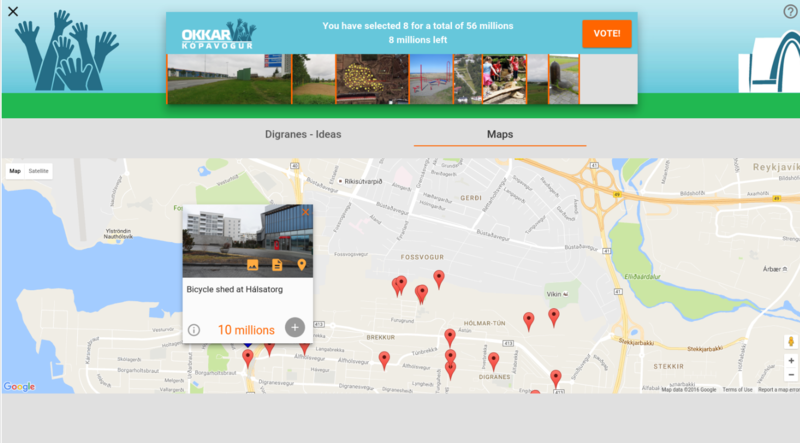 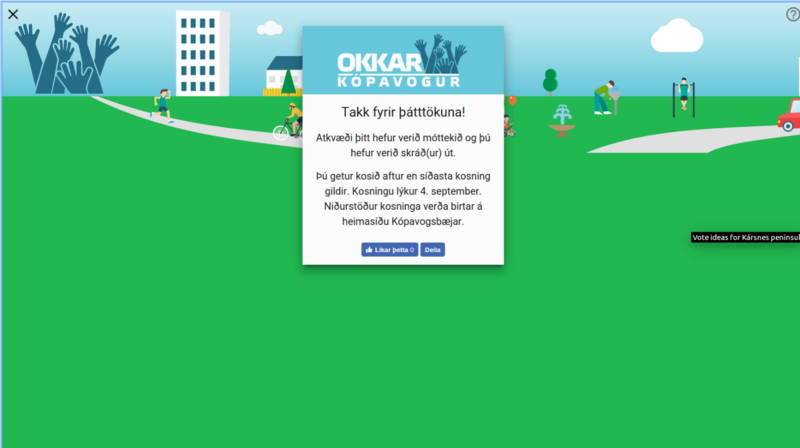 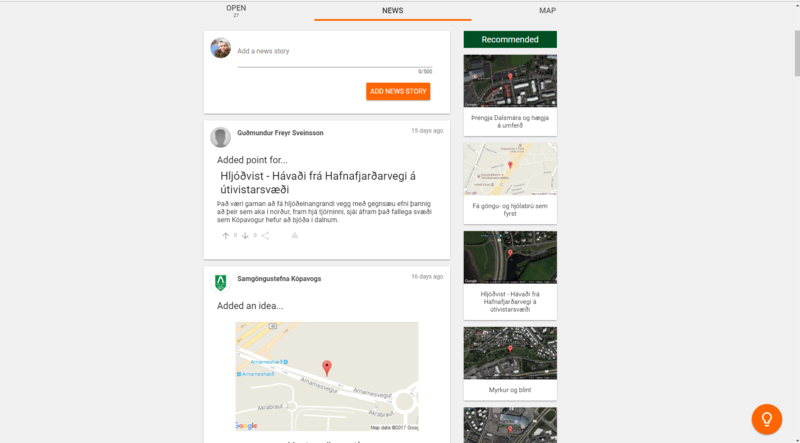 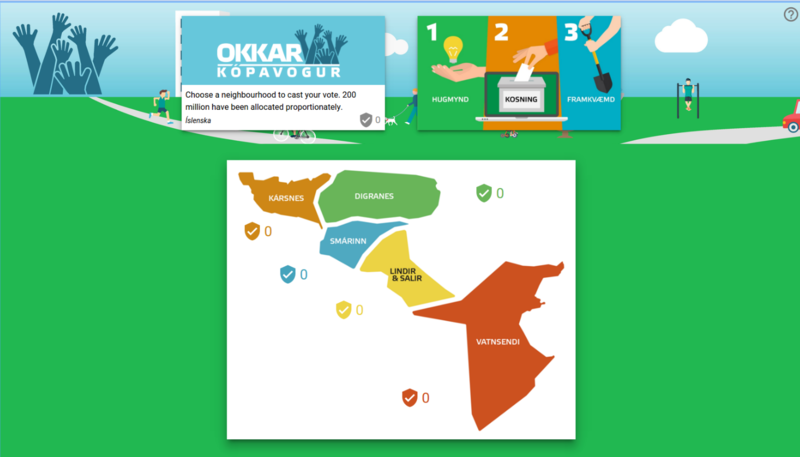 The municipality of Kópavogur operates an annual crowdsourcing of ideas from its inhabitants. 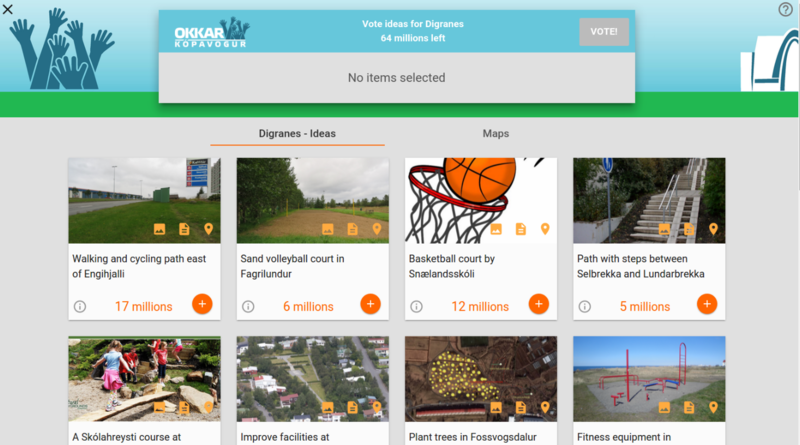 1.900 registered users have submitted close to 400 ideas, with almost 1.000 arguments for and against different ideas. 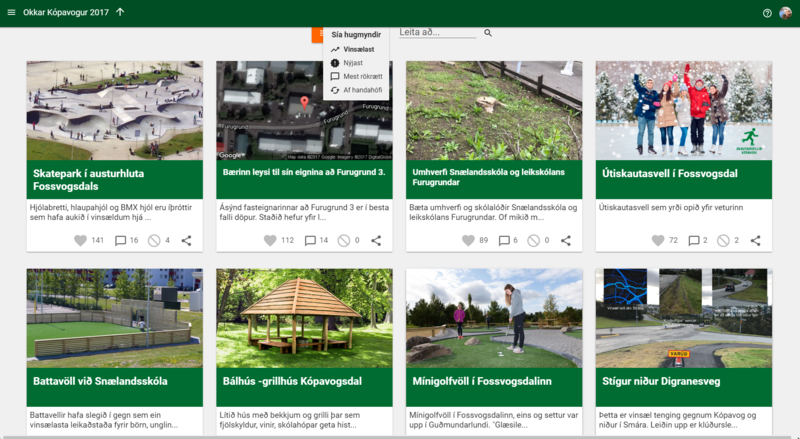 The project has been ongoing since May 2016.